Know the difference between a hoarder and a bad housekeeper. 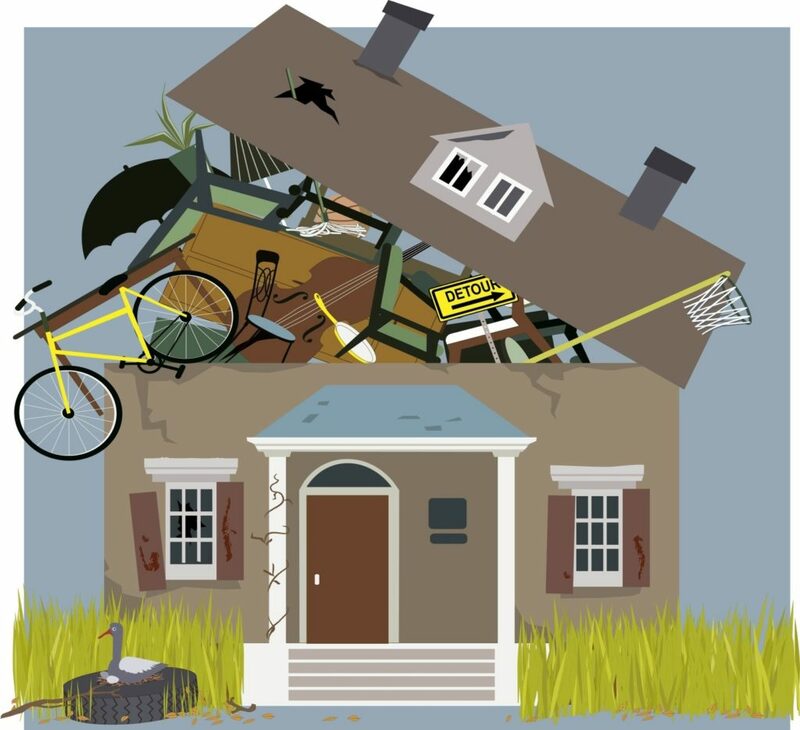 While some tenants may not clean up after themselves and have a mess, a hoarder oftentimes has piles of what may appear to you as junk, but is significant in some way to them. People who hoard things will typically leave little walking room in their space with things piled high up the walls. You will probably need to get an official evaluation. Whether you do this step on your own or delegate it to your Richmond property manager, someone needs to visit the home for a first hand report and determine the implications of the habit. Documentation should be made especially if the hoarding is causing direct damage to the property, blocking emergency exits, or interfering with sprinkler systems or ventilation. A non-economic breach may be happening if the tenant is hoarding materials that are hazardous, or are perishable goods that can attract rodents and/or mold, or housing animals in a way that breaks the law or lease agreement. If extra documentation is needed, a city official may need to assess the home to confirm violations. Conduct a tenant strategy session. After determining that hoarding is happening at the property, it’s time to have a talk with the tenant. Since this is a delicate situation, you need to be respectful at all times and discuss a strategy for bringing things back up to code. Give the tenant a reasonable time frame to remedy the problem and create a notice in writing to be signed by both parties. If, after the allotted amount of time, the problems have not been fixed, eviction can be considered. If the hoarding habits are damaging the property or violating local codes, it is in effect breaking the lease and is grounds for eviction. Your Richmond property manager will be able to assist you in this if necessary. Be proactive in conducting regular inspections. Even if the tenant was able to comply with the changes, protect yourself and your property by ensuring the tenant does not revert to old habits and conduct regular inspections of the property.